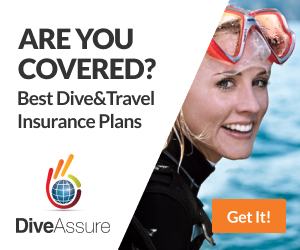 If you thought about making diving your life or maybe just reducing the cost of your vacations then becoming a Dive Master is the first step. At Phuket Dive Tours we treat our leadership level courses with the seriousness they deserve,while still maintaining the personal touch you just don’t get elsewhere. There’s no more rewarding experience than following our staff through their work and becoming a part of our diving team. The Divemaster course can be tailored to your individual needs and schedule, but remember, the more you put in, the more you will get out. Don’t get confused this is a training course and its demanding as well as being very rewarding its a career pathway to becoming a professional.What you learn as a Dive master will prepare you in the right direction for your future as a pro Instructor, who you learn with will be the biggest influencing factor. In August 2018 we commenced development with the extension at our Kata beach location creating a unique dive resort & Instructor training center with a purpose built private dive pool, this is due to open in late October 2018. 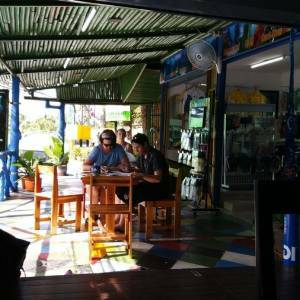 This is the ideal location for your divemaster course, we offer affordable accommodation, onsite restaurant, massage with the advantage of being 100m from the main Beach at Kata and local nightlife. At Phuket Dive Tours we recommend SSI Dive master courses because their courses offer free e learning that integrate perfectly into the daily logistics of becoming a successful diving professional. 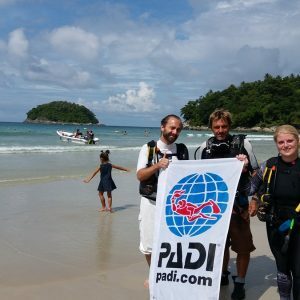 While there are small differences between training agencies such as PADI & SSI, Bsac they all offer quality courses. 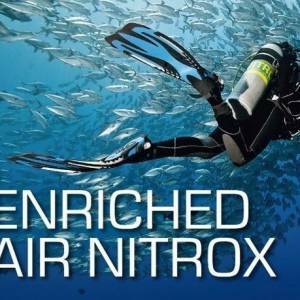 Each Dive master course has high quality teaching materials and high standards. You will start your divemaster course for the first week passively assisting our instructors with their day to day workloads. This way you will get to know our teaching routine what is needed & what it takes to prepare for a diving trip every day. You will join our instructors at the back of their groups learning the dive sites, practicing your navigational skills & making note of different features & marine life for future reference. In this time you will get to know our staff & make your own choice as to who you wish to have as your DM Instructor. In the second week of the divemaster course you will now be assisting that Instructor with their students in training, again you will be very much there to passively assist and over the next couple of weeks will turn from passively assisting to actively assisting your Instructor & their courses. You will do skills circuits, be assessed on your rescue skills, map dive sites, prepare emergency plans & be assessed on how you deal with emergency situations. a dive trip, in every angle of preparation from the boat roster to the food orders, the briefs, the equipment preparation & the crew delegation. 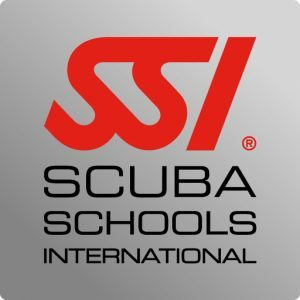 After this your DM Day your Instructor who will be there with you can evaluate you on your performance of the trip to give you helpful pointers to aid you now that you are an SSI Divemaster! 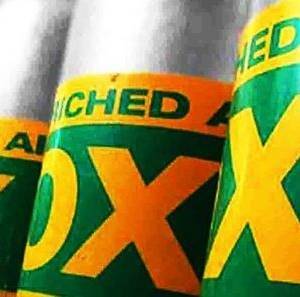 Then it’s off to the pub to celebrate with what we like to call your DM challenge! but that’s a whole other story! What do I need to start the dive master course? You must be certified in Rescue techniques and have a recognized CPR certification, such as the Emergency First Response, within the last two years. You will need to have 40 logged dives to begin the course. Although you may have some or all of your own equipment, we provide all equipment, dives for the duration of the course. Are you fit to be a divemaster? 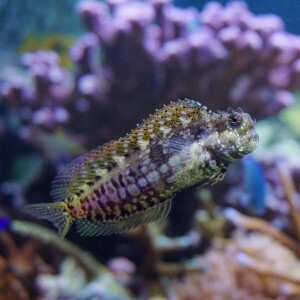 Read this medical questionnaire, if you can answer yes to any of the questions, you may require medical clearance to enroll on a diving course. Email us if you want more information. How long will the divemaster course take? Although the course may be run in around ten days, at Phuket Dive Tours we recommend that you allow four weeks to six weeks for completion in order to receive the full benefit of your education. As a Dive Master, you may supervise and assist with both training and non-training dive activities in a variety of environments; helping with classes as well as planning and leading guided dive tours. 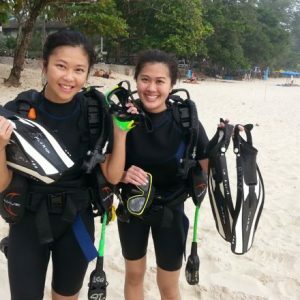 You may also conduct certain scuba programs for certified divers, such as scuba reviews. After successfully completing the Divemaster course, you may wish to continue your dive education by attending an Instructor Training Course, on your way to becoming an SSI Assistant Instructor or Open Water Instructor. 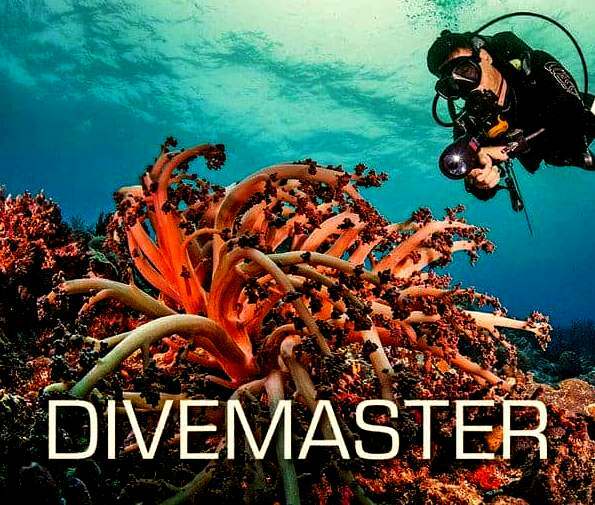 How much is the Divemaster course ? Do I need to know how to swim to go scuba diving? 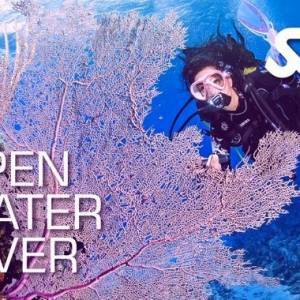 Phuket Dive Tours 5 star diving resort & training center now offering both SSI and PADI scuba diving courses in Phuket.